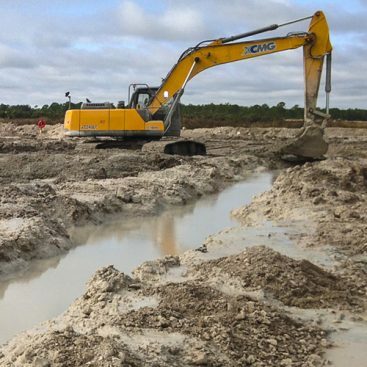 As the specialty subcontractor, Geo-Solutions performed the in-situ solidification (ISS) of highly organic and soft wetland-type soils. 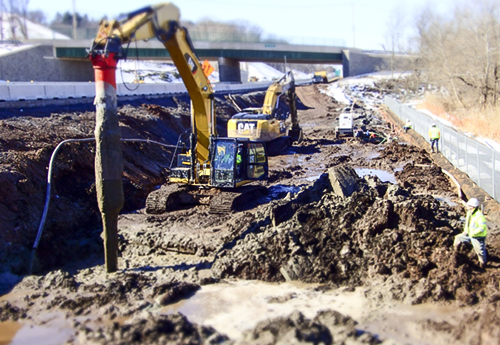 The project was a part of the Pennsylvania Turnpike roadway expansion spanning several miles through York County, PA. 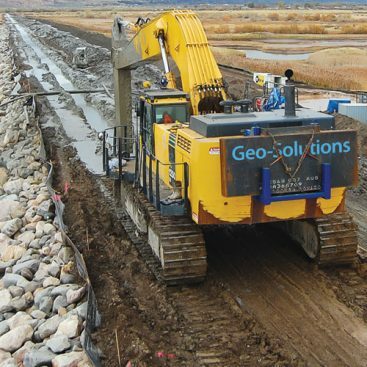 Originally specified as a single auger soil mixed shear wall construction with Load Transfer Platform, Geo-Solutions performed additional geotechnical soil sampling and testing in order to develop a more suitable design to stabilize the soils beneath the proposed embankment expansion. Geo-Solutions, in conjunction with Civil & Environmental Consultants, Inc. (CEC), was able to analyze various failure modes at critical cross sections along the treatment area in accordance with the Federal Highway Administration (FHWA) Design Manual for Deep Mixing for Embankment and Foundation Support and design a system that would achieve the required factors of safety. 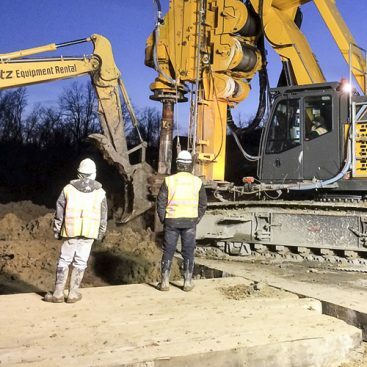 Throughout the course of the project, Geo-Solutions used a total of 4,141 tons of Portland cement to stabilize approximately 14,450 cubic yards of highly saturated and highly organic soil to depths extending 20 feet below a prepared work platform. Geo-Solutions used variable cement addition rates ranging from 15.0% – 31.0% by weight of soil in order to achieve the minimum strength targets developed through the course of design. Following 28 days of cure, the soil mixed mass was required to obtain strengths ranging from 30 psi – 90 psi. Delivery of bulk cement was received daily by pneumatic tankers and transferred to onsite storage silos. Geo-Solutions used a specialty batch plant to generate the high volume of cement grout required to introduce the desired amount of Portland cement to each cell. 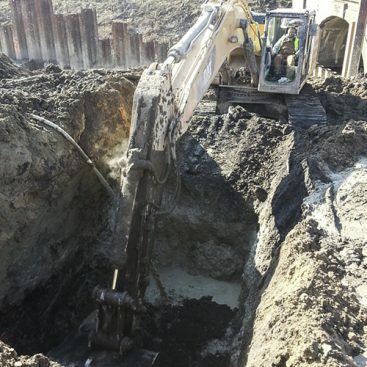 Soil mixing was performed using a standard hydraulic excavator (CAT 336) and GSI’s rotary blending tool. Cell dimensions were typically 10 feet x 15 feet, while some cells were smaller or irregularly shaped to ensure 100% coverage of the improvement area. Geo-Solutions was responsible for overall quality control of the stabilization activities which included process controls to ensure accurate reagent blending and reagent addition rates, sample collection, and verification of horizontal and vertical limits of the ISS work areas through the use of total station survey equipment.